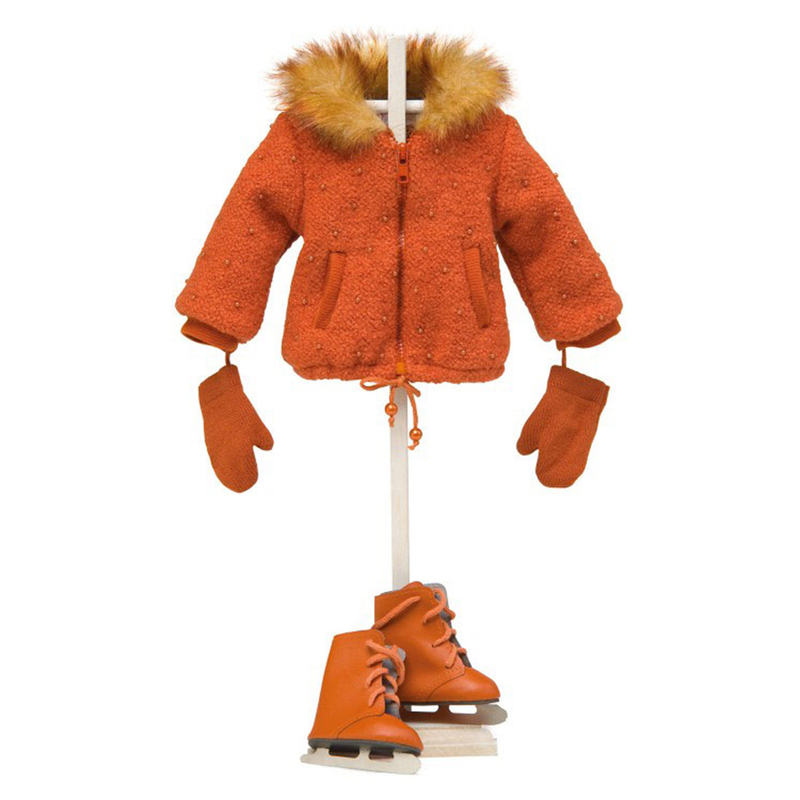 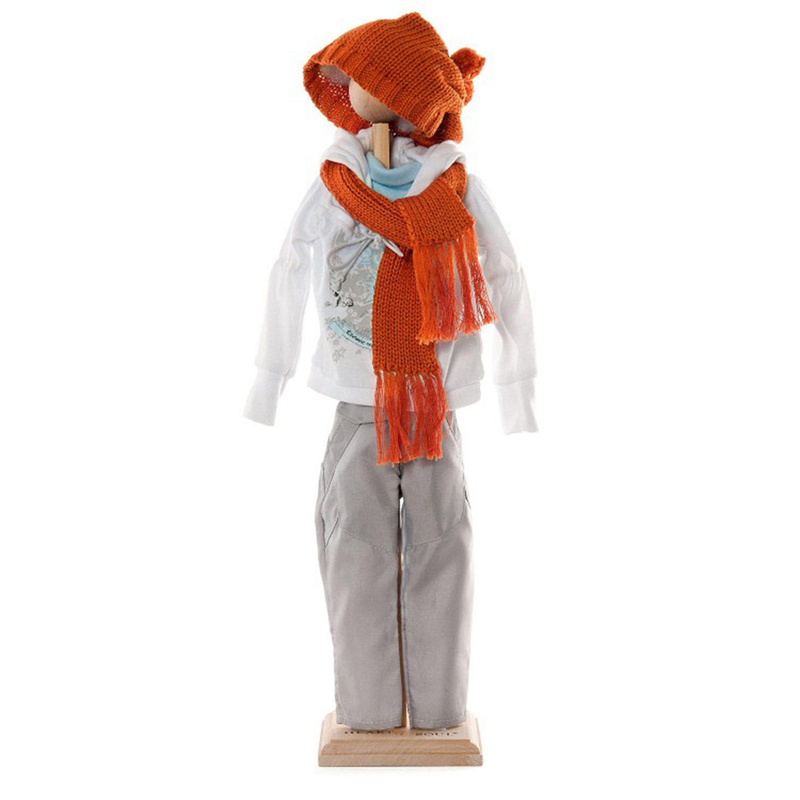 Make your doll the envy of her friends on the beach this summer with this stylish Beach Set. 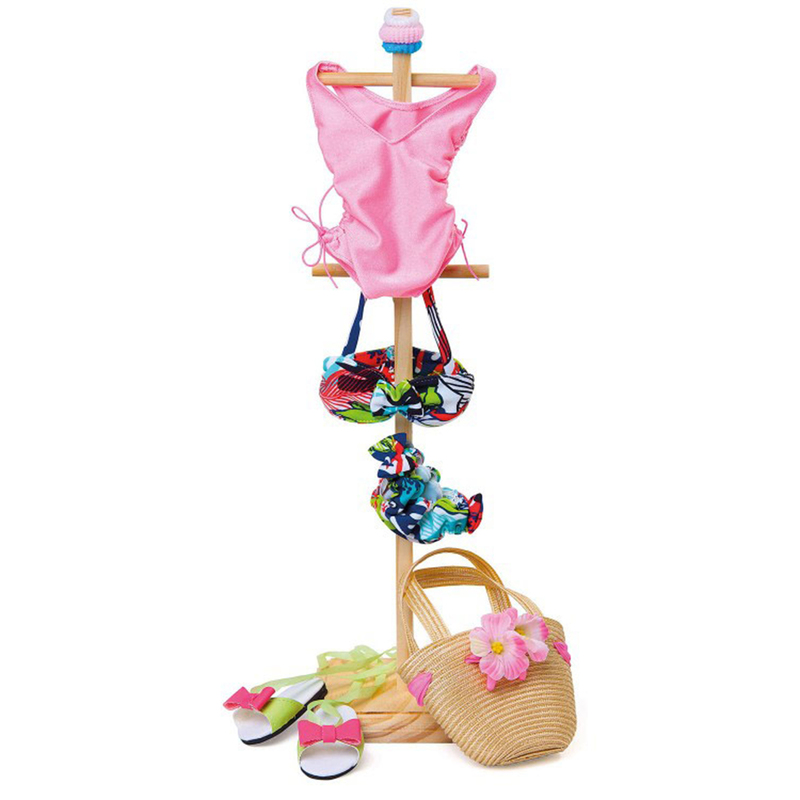 The Beach Set comprises a pink Lycra bathing suit plus a a brightly patterned bikini with bows. 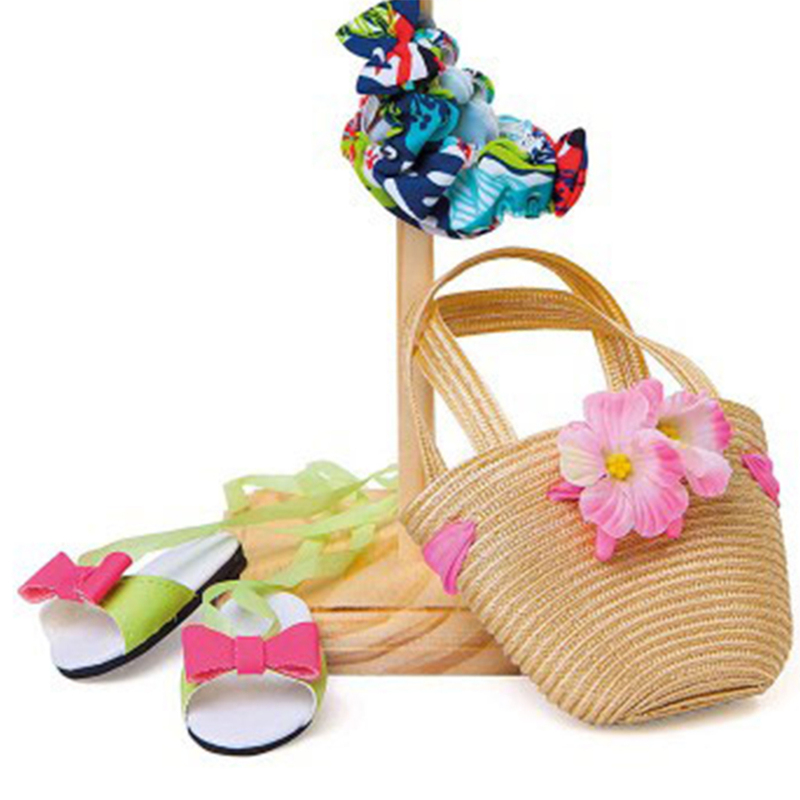 Set includes a beach bag with flowers to keep all your dolls belongings together and is complemented with pink and green sandals.